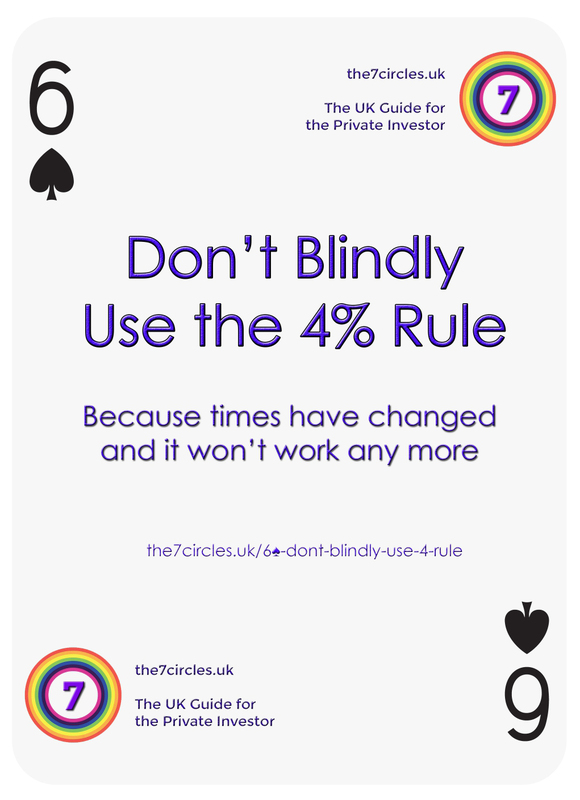 Don't blindly use the 4% rule - because times have changed and it won't work any more. Don’t blindly use the 4% rule. Because times have changed and it won’t work any more. Today I’m going to try to persuade you to ignore one of the classic rules of thumb in investing. The four per cent rule was popularised by a famous piece of research called the Trinity Study (1998). This looked at how much money people could safely withdraw from their pension pots each year. Using historical data from the US stock market, and a variety of portfolio constructions (typically weightings between US stocks and US bonds, the researchers looked at the chances of a retiree running out of money before a 30 year period. The aim of the study was to determine what is the safe withdrawal rate (SWR) for a retirement portfolio. In fact the concept of a 4% withdrawal rate had been introduced by William Bengen in 1994. He called the 4% rate the SafeMax rate, but after the Trinity Study the SWR terminology was widely adopted. In addition, the 4% rate was originally intended to apply only to year 1 of retirement, with subsequent withdrawals being increased by inflation. Nowadays the rule is usually interpreted as a withdrawal of 4% of the remaining balance at the start of each year. You can safely withdraw 4% of your portfolio each year and expect to have money left over at the end of 30 years. The first thing to say about the 4% rule is that it is no easy ride. The rule doesn’t sound so generous when you turn it around. But as we’ll see, the 4% rule – as strictly applied according to the research – is actually far too generous. Don’t worry though, there are ways to fix this. First, times have changed, and we can expect lower returns over the coming decades than during the periods analysed by these studies. Third, the studies usually ignore fees, and even a disciplined investor will struggle to keep fees below 0.5% pa.
Fourth, the portfolio constructions used in the studies are simplistic, and a diversified international portfolio would have different characteristics for both returns and volatility. These kinds of portfolios need to be analysed for us to determine what the safe withdrawal rate is. Fifth, the 4% rule also takes no account of taxes. A recent piece of research comes from Morningstar (May 2016). This looks at UK returns, and in particular, Monte Carlo modelling of expected future returns by asset class. Using UK returns for a 50:50 stocks / bonds portfolio, and applying a 1% portfolio fee, Morningstar calculated that historical SWRs had a low of 2.5% to 3%, rather than the 4% reported by Bengen (for the US, excluding fees). According to Morningstar, even such a modest rate only gives a 70%+ chance of ending 30 years with money left in the pot. With a 60:40 stocks / bonds portfolio, the SWR (with 10% failure rate) rose to 3% (after 1% pa fees). 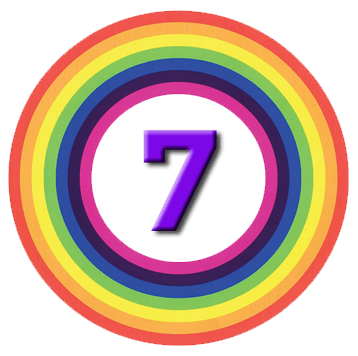 The Morningstar research chimes with the work done by Wade Pfau (2010), who analysed seventeen developed countries (including the UK). We’ve discussed this work previously when looking at articles (1 and 2) by Abraham Okusayna of FinalytiQ. Pfau found that the SWR for a UK 50:50 portfolio was 3.4% – equivalent to 2.4% with Morningstar’s 1% annual fee. Abraham looked at the Morningstar work, and confirmed that sequencing risk was the root cause of failure during the four periods within the past century when only a 2.5% SWR could be used. Abraham concluded that simply freezing the level of withdrawals during periods of negative returns would be enough to fix these troublesome periods. I would advocate an even safer plan (which Abraham has discussed in other articles) of keeping a cash buffer of several (three to five) years of withdrawals. There are other variations of the basic 4% rule, some of which are discussed by Abraham and Morningstar themselves. They concluded that withdrawing a constant real money amount each year – the default position for most schemes and retirees – was the least efficient strategy. The endowment strategy improved with higher equity allocations, whereas the RMD method deteriorated with higher equity allocations. The underlying variables for the success of these strategies are market returns and life expectancy. It’s not surprising that the fifth approach – which uses both variables – should outperform the other strategies (which use either none or one of the variables). This strategy is not easy for a private investor to adopt, but it provides an insight into how “set and forget” retirement strategies are sub-optimal. Bergen himself suggested a “floor and ceiling” approach where withdrawals rose on bull markets (capped at 25% pa) and shrank in bear markets (by up to 10% pa). This means that retirees can live the good life if things go well, so long as they are prepared to tighten their belts in the bad times. A similar strategy is known as the Guyton and Klinger rules (2006). This uses a higher starting rate (around 5%) and adjusts up and down according to market conditions. Withdrawals increase with inflation when portfolio returns are positive, but are frozen when returns are negative. If the withdrawal rate has fallen to 20% below the initial rate (eg. to 4% from 5%) then it is increased by 10% (ie. to 4.4%). The last two rules are dropped for the final 15 years of retirement (years 16-30 on the typical projection). Using a 65% equity allocation, these rules allow an average 5.5% withdrawal rate over even 40 years of retirement (using US data). This does not account for fees or taxes, as with the original 4% rule. The 4% rule is too simplistic to be applied blindly. Though it has many omissions (costs, taxes, country of origin, future returns), it remains a useful starting point for looking at retirement withdrawals. what is the expected retirement duration? is it important to have money left in the pot on death (an inheritance)? what is the retiree’s attitude to risk, and what percentage of equities can they tolerate (60% to 80% of equities is likely to outperform a 50:50 portfolio over 30 years? This can be addressed by freezing withdrawals during periods of negative return. Yet another method – and my preferred approach because of its simplicity – is to hold a cash buffer to ensure than equities aren’t sold during bear markets. For those concerned to take advantage of good returns, and not leave a lot of cash in the pot on death, an approach like Bergen’s floor and ceiling, or the Guyton and Klinger rules would be more appropriate. This can squeeze another 1% pa to 1.5% pa out of the pension pot. Approaches that use feedback from both market returns and mortality data are likely to perform best, but are probably too complicated for private investors to apply. So I recommend a cash buffer to avoid equity sales during downturns, coupled with some kind of escalator approach to increase withdrawals during good times. As always, DYOR and make sure that this approach will work for you. But whichever route you choose, don’t blindly use the 4% rule – because times have changed and it won’t work any more. Mike thanks for a great article. What is also really helpful is if in retirement you still have some income from working part time and or a hobby that also generates income. This takes a lot of pressure off the investment returns and going from 80% work to 20% work is not a bad idea, especially because we are all living longer and healthier into old age. I appreciate the feedback – I’m a big fan of your own articles. I agree about a side income. I’ve found I can’t really face working in an office any more, but if I can turn a hobby into an income stream, that would be great. Even if you don’t make any real money, structure in retirement is important. Thirty years is a long time to sit on a sofa. Don't buy an annuity - they are very poor value and completely inflexible.